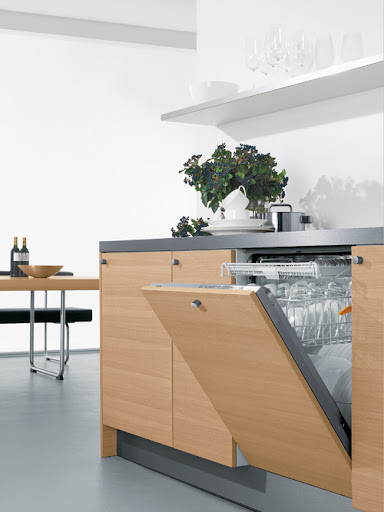 Dishwashers make our lives easier. A few things to look for in a good quality dishwasher are: adjustable height racks, removable cutlery tray, stainless steel interior, delay start, buttons versus dials, etc. 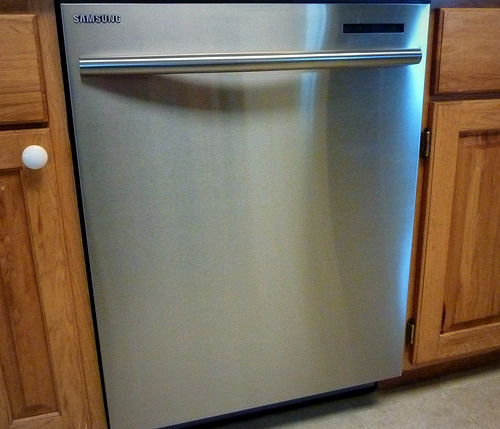 This style of dishwasher is usually stainless steel, white or black. 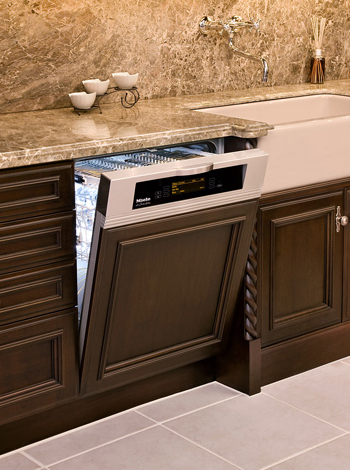 Most are 24″ wide, but smaller spaces may require an 18″ wide model, which is readily available. This style is available from most premium manufacturers. They accept door panels and blend almost seamlessly with the cabinetry. This is a nifty new idea. 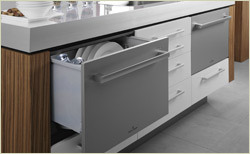 Dishwasher drawers can be either stacked on top of each other, or side by side, or at opposite ends of the room! 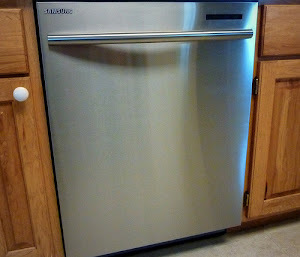 They are great for smaller loads, or mixed loads.